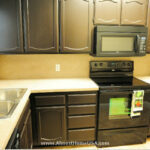 Come home to this gorgeous corporate apartment, conveniently located on the west side of Fort Worth, TX. Relax after a day at work and enjoy . . .
Fort Worth corporate housing is located minutes from 820 and I-35 West, where you can find great entertainment, shopping and dining. We offer one and . . . Almost Home’s Fort Worth furnished apartments will accommodate any busy lifestyle with convenience—like a fitness center, swimming pool, spa, billiard room, business and conference that . . .
We serve the entire Fort Worth area including Haltom City, Richland Hills, Pantego, Dalworthington Gardens, Forest Hill, Edgecliff, Benbrook, Westover Hills, Westworth, River Oaks, Lake Worth, Arlington, Irving, Dallas. 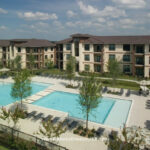 Fort Worth corporate housing residents might benefit from a little knowledge of their destination. Fort Worth’s economy is reliant on the aerospace industry. Lockheed Martin Aeronautics is the largest employer here, just ahead of the Naval Air Station. American Airlines, based here, is also one of the top employers in the city, as is Bell Helicopter. There are a number of universities in town as well, including Texas A&M’s Law School, Texas Christian University, and Texas Wesleyan University. Fort Worth came into existence in the mid 19th century with the setting up of an Army outpost. Today's Fort Worth still has frontier architecture that exemplifies its heritage. Of course the modern art-deco styles have entered mainstream here and can be seen in its modern buildings. 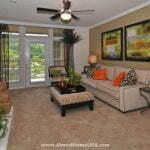 Stepping out of your Forth Worth furnished apartment will be generally a balmy experience. Weather wise, it is considered semi-arid in Fort Worth, sharing similar weather with Dallas. Summers can climb into the mid 90s. The coolest months are between December and February, when the temperatures are between the 40s and 50s. Annual precipitation here is about 34 inches with the wettest month being May. Rocco's Wood Fired Pizza on Locke Ave.: Dine in or call for delivery, as long as it is wood-fired, you know the pizza is going to be delicious. The pizzas here are an award-winning experience. The Vaquero is no simple matter. There must be something in the sauce, but it is never enough. The Cowtown Pizza is another brilliant work of culinary art, and so is the Carbonara pizza. BJ's Restaurant and Brewhouse on S Hulen St.: From the chef to the servers, the staff at BJ's Restaurant and Brewhouse really put their best foot forward. The food here is masterfully prepared and generously portioned. The New Orleans Jambalaya Pasta, for instance, is a medley of blackened chicken, shrimp and chicken Andouille sausage sauteed in a spicy tomato sauce. If you like that, you should sink your teeth into the deep dish Chicken Bacon Ranch. It comes with grilled garlic chicken, Applewood smoked bacon, cheddar cheese, red onions, and ranch dressing. But if you are in the mood to go all the way, then go for the BJ's Classic Combo. P.F Chang's on Throckmorton St: There are a few of these bistros in the south and over 200, worldwide. All of them always live up to the mark. The food here is as delicious as it is generous. The cocktails are imaginative and the flavor is authentic with a twist of Americana. The favorites here form a pretty long list, but it's safe to start with Dynamite Shrimp and work your way through the Tuna Tataki or the Northern Style Spare Ribs or the Orange Peel Beef. As for seafood, the Oolong Chilean Sea Bass is worthy of your consideration. Maharaja Indian Restaurant on Hulen Bend Blvd. : It is certainly not easy to come across good Indian food, especially something that really creates a memory that lasts forever. Majaraja, however, does create a memory-making Indian dish. There are some dishes that can be a little heavy, but that is by design. The staples, like rice and bread, go hand in hand with their dishes, and together you find a marriage that is made in heaven. There is plenty to see and do near your Fort Worth temporary housing. As time permits and your interests dictate, check out the following activities near your corporate housing residence. Museums: There are quite a few museums here. The Kimbell Art Museum has a fabulous collection in addition to travelling collections. It was designed by the renowned Louis Kahn. There is also the Amon Carter Museum of American Art and the Modern Art Museum of Fort Worth, located on Darnell St. It is one of the oldest in the country. The Texas Civil War Museum also deserves a visit. Performing Arts: It is an absolute must to visit the Bass Performance Hall and Casa Manana. The Fort Worth Symphony Orchestra is especially worth the visit at the Bass Hall. As for operas, the Fort Worth Opera is presented at the Scot Theater. If you like live eclectic music, then head to Ridglea Theater. Malls: There are two malls in town that are worth mentioning. One is the Hulen Mall on S Hulen St and the other is Ridgmar Mall on Green Oaks Rd. Aside from that, if it’s a little too far from where you are, you can also try the La Gran Plaza on South Fwy. Golf: There are numerous courses in and around town that you could experience. You can start with the Hawks Creek Golf Club on White Settlement Rd., and then there's the Waterchase Club on Creek Run Rd. Aside from these two, there is the Golf Club on Fossil Creek at Club Gate Drive. These three should get you started. Parks and Recreation: A good way to get a strong workout is to take advantage of the parks and services that the city of Fort Worth has to offer. These include Aquatics, Parks where you can walk your dog, tennis courts or a place where you can just have a peaceful walk or run. Check out the city's Parks and Community Services Website for details.